Olthof Homes presents the energy saving, maintenance free, Summerset townhome, located in beautiful Hamilton Square. This home is complete and is showable. 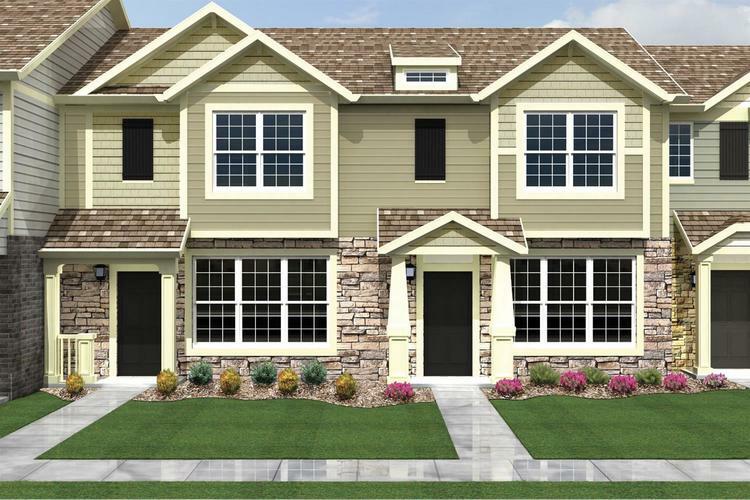 The Summerset has 2 Bedrooms, 1.5 bath, large great room, and upstairs laundry room. The Kitchen features 42'' white cabinets, HD laminate countertops, and stainless steel kitchen appliances. Quick Step flooring runs throughout kitchen and dining room. The upstairs and great room features designer Shaw Carpet. Energy features include a 92% energy efficient furnace, Low E Energy Star qualified windows, California corners, Tyvek exterior house wrap, & a 3rd party inspection. The home comes w/a 10 year structural warranty & consists of an industry-best customer care program. Directions:Broadway, South to 113th, East to Rhode Island Street.